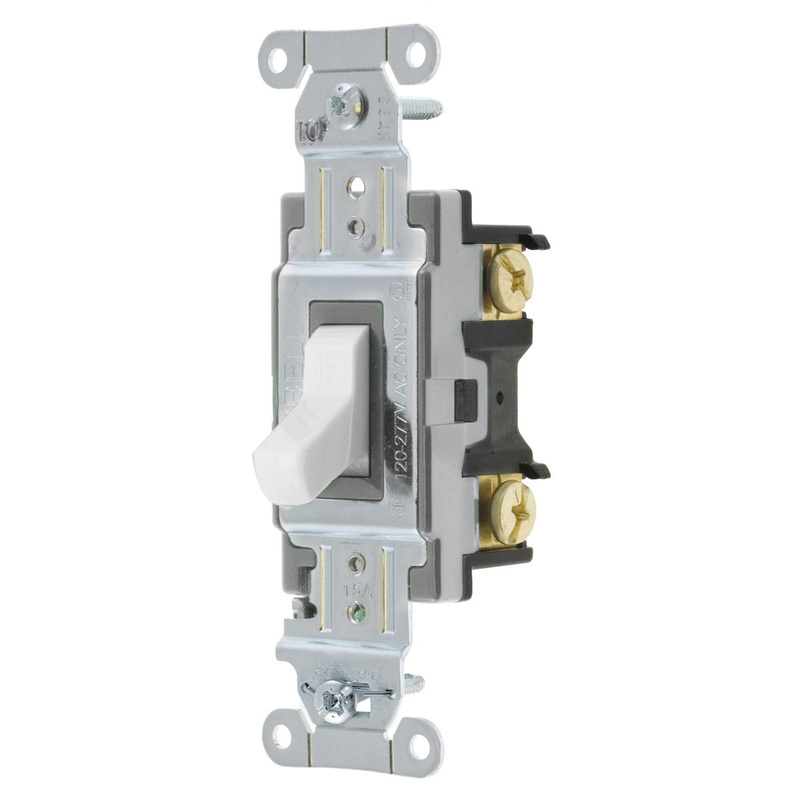 Hubbell-Wiring 1-Pole Toggle switch in white color, is rated at 120/277-Volt AC and 15-Amps. Switch features nylon toggle, thermoplastic top/base, silver alloy contact and brass terminal/grounding. It has a dimension of 1.31-Inch x 4.18-Inch x 1.13-Inch. Auto-grounding switch has maximum load capacity of 1/2 hp at 120-Volts and 2 hp at 277-Volts. With side wired terminal connection, this switch accommodates solid/stranded copper wire of size 14 - 10-AWG. It withstands dielectric strength of 1500-Volts. Commercial-grade switch operates at temperature range of -40 to 75 deg C. It has V-2 per UL94 flammability rated to withstand harsh environmental conditions. Switch is UL listed, CSA certified and meets Federal Specifications.